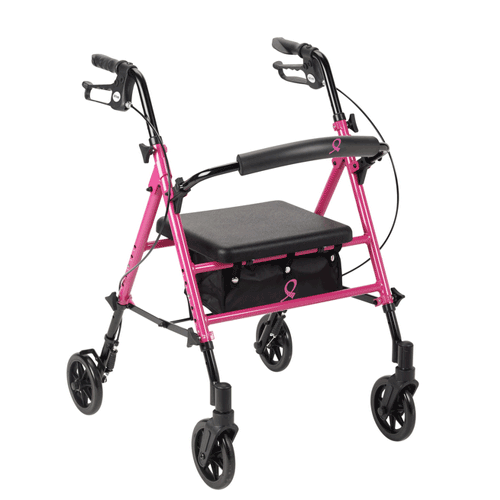 Rollator, BUY Mobility Rollator, Drive Medical Rollator, Breast Cancer Awareness Mobility Rollator, RTL10261BC. ACS Aluminium Rollator, manufactured by Drive Medical, is an attractively colored rollator with a sturdy frame and safety benefits. 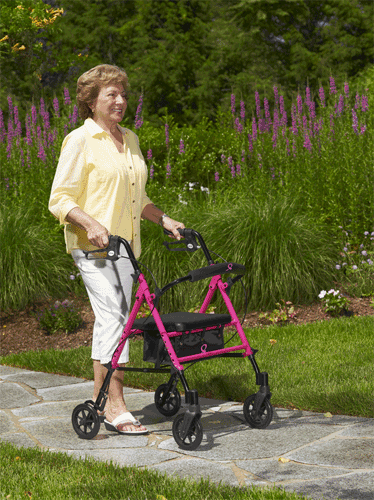 This rollator features the color pink in honor of the American Cancer Society. It comes with a seamless padded seat that includes a zippered pouch to provide security and privacy of personal items. The padded and hinged backrest can be folded up and down or completely removed if desired. The frame features a universal height adjustment that allows the seat height to be adjusted from 18 to 22 inches in 1 inch increments. This can help with providing the user excellent configuration options. ACS Aluminium Rollator is designed with durability and strength in mind. The frame is made with sturdy aluminium, while the caster journals are offset to provide additional strength. The brakes utilize serrated edges that grip the wheels and provide a firm hold. This rollator has an additional benefit with it's ergonomic handles which are comfortable and adjustable in height. Increase your mobility with this attractively colored and sturdy rollator. BUY ACS Aluminium Rollator from Vitality Medical today. Does this walker come completely assembled right out of the box? It does not come pre-assembled; however, it only requires a few tools to assemble. One of the better products I purchased, should have looked into it sooner. Steady walking for me is a thing of the past. 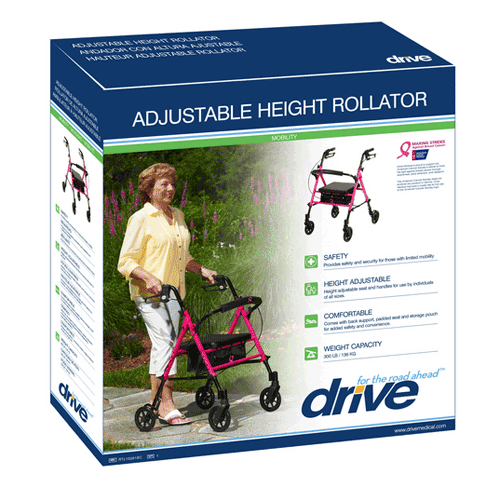 With this aid life is much more comfortable.Sturdy and easy to move around, and its pink. Great price to!